Chevning is a British Government's prestigious scholarship funded by the Foreign & Commonwealth Office (FCO) and other partner organizations to sponsor study master's degree in the UK. This scholarship is mainly aiming to select potential global leaders around the globe. It is a full funded award which covers full tuition fee, living expense, travel cost etc. 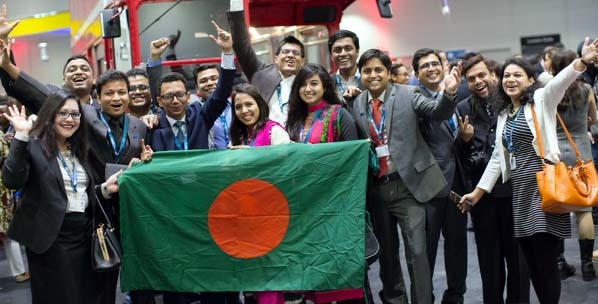 Time for Application: Basically, Chevening secretariat invites application in August each year and offers about 1700 award all over the world of which Bangladesh normally gets 12-16. This year their application portal (www.chevening.org/bangladesh) opens on 6 August and will continue till 6 November 2018. Eligibility Criteria: To be competent for a Chevening scholarship the applicant must be a citizen of Bangladesh but not having dual citizenship with the UK; having at least a bachelor degree by which one can get admit into a UK university; have at least two years of work experience which is equivalent to 2800 hours in UK regardless of paid or unpaid work, voluntary service or internship but not done in partial fulfillment of the degree requirement. The applicant also needs a score on an average 6.5 but not less than 5.5 in any module in the IELTS or qualify in any other prescribed English language test. However, Chevening gives the opportunity to prove the IELTS result even after conditional selection for the scholarship, the deadline of which is 11 July 2019. In addition, the applicant has to choice either three different courses or similar course at three universities from the list provided by Chevening portal. It is the duty of the applicant to get unconditional offer letter by 11 July 2019 from one of his/her desired university to get the final award. Nevertheless, universities are normally sent an unconditional offer letter after showing them the conditional selection letter from Chevening secretariat without any fees. But you have to contact with the universities early and universities are mainly focusing on previous academic record and efficiency on English language whereas some may ask for motivation letter. Apart from these, the applicant will be asked to produce two recommendation letters after being primarily selected for interview stage. The recommendation letters may be either academic or professional or both. But as Chevening is looking for leadership skill, hence you have to discuss with your referees about your strength and demand of Chevening as well and request them to put some illustrations of your skills. However, it has a significant condition that the awardee will stay in his/her country for a period of minimum two years after completion of study. Ineligibility: If one is an employee or a former employee or relative of an employee of British Government, the British Council or a staff member of the Association of Commonwealth Universities, then s/he will be excluded automatically during the selection process. However, employees, former employees or relatives of an employee of Chevening partner organizations are still eligible to apply. Nevertheless, previous UK degree will not exclude anybody unless s/he got any UK government funded grant earlier. What is essential: Indeed, a brilliant academic record or a degree from a reputed public university are not essential to secure this scholarship rather moderately good academic result either from public or private university may bring success if you have a firm vision about your future career plan, leadership and influence skills, networking skill, confident about your potentiality and can speak and write in English well. In fact, Chevening is looking for all these qualities. To demonstrate your skills exhaustively into the application form, you need to write four essays about these. Each essay is consisting of 500 words. You should put focus on what they actually want to know about your leadership and influential skills, networking skill, future plan, relevancy of your intended study with previous education and career etc. instead of looking into another one's essay. Putting some real-life instances would definitely strengthen your write up. You must be honest in highlighting your strength and weakness as well. Specifically highlight on the development goals of UK and Bangladesh and the relevancy of your previous education and profession with your intended study in UK. These are really significant to minimize the distance between your dream and reality to achieve the award. Hence this is high time to think about Chevening scholarship who meets the eligibility criteria and let's have a try to obtain a prestigious degree from a globally reputed university.